Shelby Benson is the Director for Health as well as the OVC (Orphans and Vulnerable Children) Technical Lead at World Vision US. Ms. Benson brings over fifteen years of experience in managing and providing technical support to international health projects. As Health Director she leads a team of program managers who supervise implementation of a large and diverse portfolio of ongoing USG, foundation, and private donor-funded projects located in Africa, Latin America, Eastern Europe, the Middle East and South Asia. She also provides leadership in innovation, knowledge management, and strategy development for World Vision. As the OVC Technical Lead she serves in multiple capacities, providing technical capacity building and guidance to OVC programs as well as working with external stakeholders to build tools, inform policy, generate and disseminate knowledge and partner with local and international organizations for greater efficacy and local ownership of programming. Previously, as a Program Management Officer at World Vision, she designed and managed a portfolio of OVC and HIV grants spanning Africa and worth nearly $500 million, including Zambia’s flagship OVC programs, RAPIDS (2004-2010) and STEPS OVC (2010-2015), which collectively reached over 1 million OVC. Prior to World Vision, she worked at Harvard University’s Research Program on Children and Global Adversity supporting research on child soldiers in Sierra Leone and led her own research team to determine the self-identified needs of OVC in the slums of Pretoria, South Africa. Shelby’s passion for medicine began at an early age and she always assumed she would be a medical missionary. After spending time in Africa with highly vulnerable children and on medical mission rips during college, she realized she could have the greatest impact by investing in public health at a broader scale to make larger impacts on many children. She felt God’s calling to pursue a degree in public health and this was quickly affirmed during her work at Harvard to reintegrate child soldiers into families in Sierra Leone and working with OVC living in slums in South Africa. She always wanted to work for World Vision and has now been here for 10 years. She loves it more today than her first day on the job and is grateful God has called her to a Christ-centered, highly impactful organization. 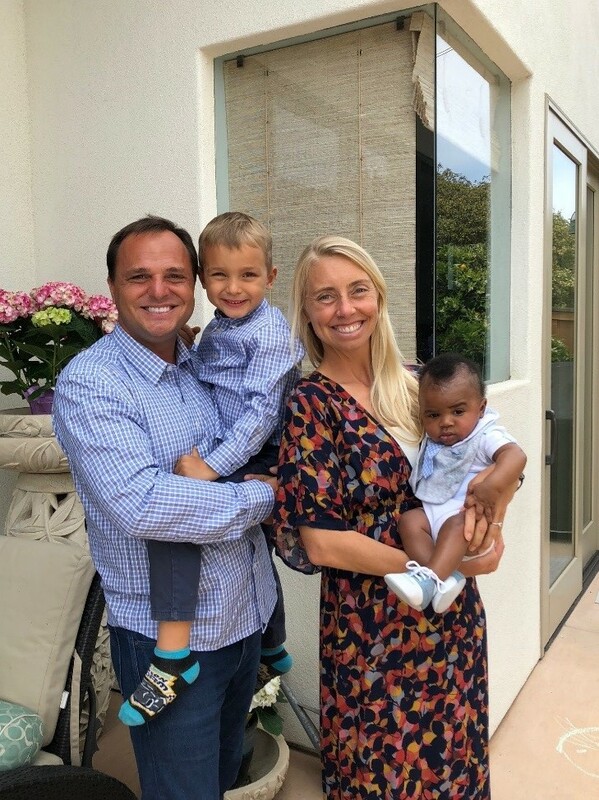 Shelby is married to Hunter Benson, pastor of Mercy and Missions for Redeemer PCA church in San Diego, CA. They have two wonderful boys, Ryder (5) and Austin (10 months). Bachelor of Science in Chemistry and Biology from Texas Christian University.